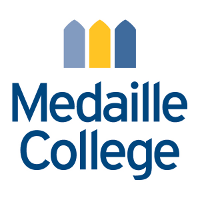 Medaille College seeks a full-time Assistant Professor of the Practice to teach in the Bachelor of Professional Studies in Health Information Management program. The position is in the Department of Business, Management & Leadership at the Buffalo Campus. Faculty members are expected to engage in continuing scholarly development and academic advising, as well as perform department and college-wide service. Position may require online course development. Experience with online/hybrid teaching a plus. The successful candidate will have a minimum of a Master’s Degree, and will be credentialed as a Registered Health Information Administrator (RHIA) or Registered Health Information Technician (RHIT) with significant practitioner experience. This is a full time faculty position with teaching responsibilities twelve months of the year. Prior teaching experience is preferred. Must have a strong commitment to teaching in a small college setting and to the education of diverse populations, a perceived ability to work productively with students, and the ability to work effectively with others in a collegial environment dedicated to student learning. Medaille’s HIM program is accredited by the Commission on Accreditation for Health Informatics and Information Management Education (CAHIIM).